Tohoku schools are still trying to catch up on their curriculum almost a year after the disaster. Because of that, I often do shows during the after lunch free time. 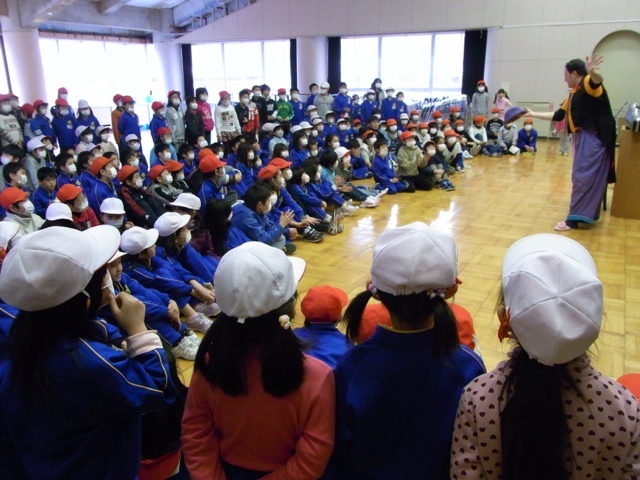 Student attendance is optional, but this show at a Kamaishi elementary school today drew 270 of the 330 kids!